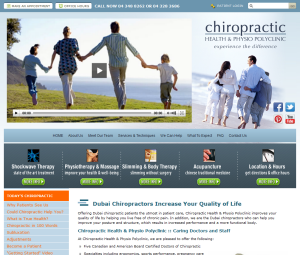 Chiropractic Health & Physio Polyclinic serves Dubai residents with Applied Kinesiology, Diversified, SOT, Thompson, Gonstead, Activator Methods®, CBP, Torque Release and B.E.S.T chiropractic techniques. 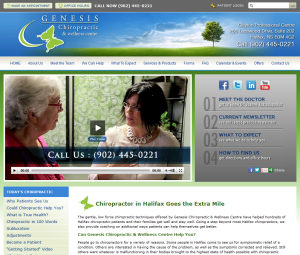 Physiotherapy & Massage, Shockwave Therapy, Dental, and Acupuncture are also available. 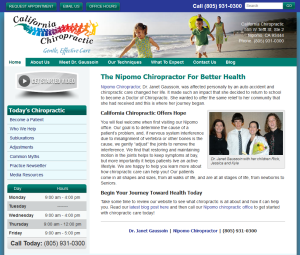 Parker College of Chiropractic graduate serving Nipomo and Santa Maria Valley since 2003 with Diversified, Thompson, and Activator Methods® techniques. 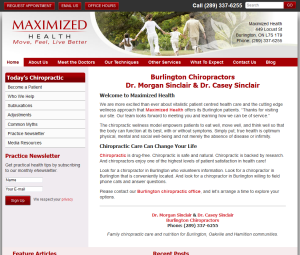 Maximized Health offers corrective chiropractic care for the Greater Toronto area since 1977, along with Restorative Yoga and massage therapy. 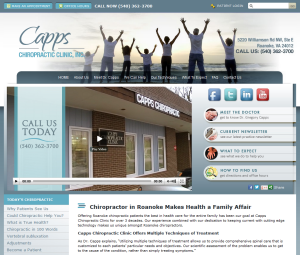 Palmer College of Chiropractic graduate provides chiropractic care to the Knoxville community since 2006. National College of Chiropractic graduate serves Northern Illinois community since 1983 with Diversified, Activator Methods® and Cox Flexion-Distraction adjusting methods. National College of Chiropractic serves Roanoke residents with Activator Methods®, Acupressure, Applied Kinesiology, Diversified, Electrical Muscle Stim, Extremities, Intersegmental Traction, Motion Palpation, Myofascial Release, SOT and Trigger Point chiropractic techniques. Foot Levelers and Ultrasound are also available. 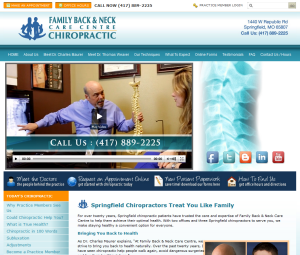 Dr. Charles Maurer and Dr. Thomas Weaver of Family Back & Neck Care Centre offer Diversified, Activator Methods®, Thompson and Cox Flexion-Distraction adjusting methods to the Springfield residents. 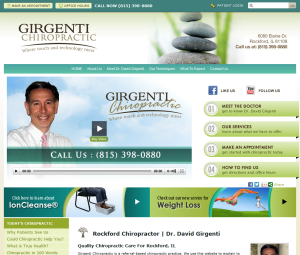 National University of Health Sciences graduate serving Batavia residents with Diversified, SOT, and Thompson techniques. 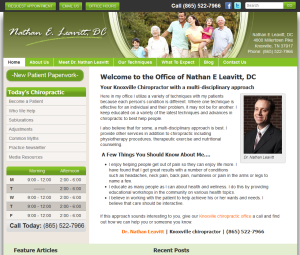 Also provide Subluxation Station and Acupuncture. Offering chiropractic care, custom made orthotics, and state of the art technology scans such as Myovision© and GaitScan™. Also offer offer many lines of therapeutic grade quality supplements. 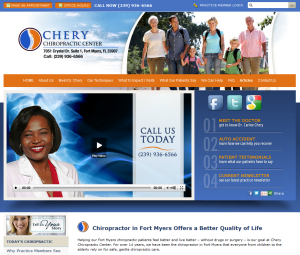 Chery Chiropractic Center offers Fort Myers area residents with corrective chiropractic care along with additional services. 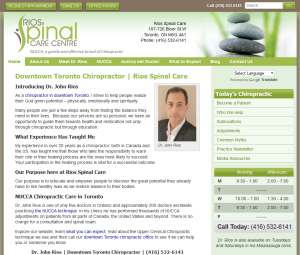 Rios Spinal Care offers quality Upper Cervical Chiropractic care in the Toronto and Mississauga areas since 2001.